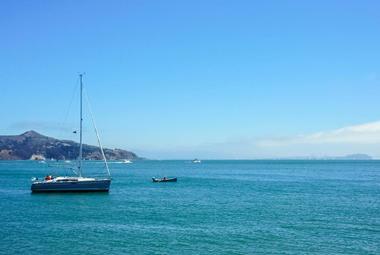 Sausalito is a charming coastal town in Marin County, just across the Golden Gate Strait from San Francisco. 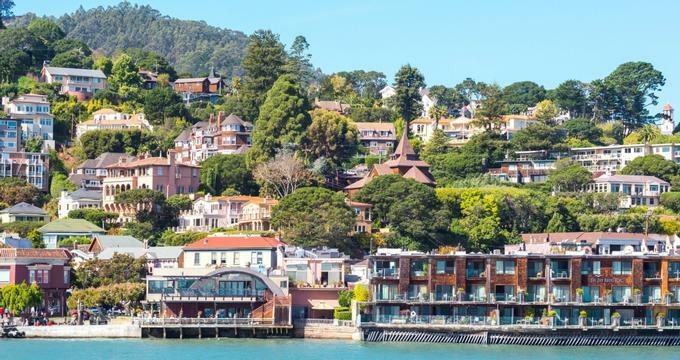 Sausalito is known for its wonderful views of San Francisco and the Golden Gate Bridge as well as for its historic Richardson Bay houseboat community, which was built after WWII by artists and other free spirits. The city hosts the U.S. Army Corps of Engineers’ functioning hydraulic model of the Bay Area. Educational Tall Ship is a project run by volunteers that recreates a historic tall ship in a sustainable way for the education of local schoolchildren. Since Sausalito residents Lloyd Smalley, Paul Maxwell, and Pat Arrigoni founded the Marine Mammal Center in 1975, they have rescued more than 20,000 marine mammals. The center is a non-profit private organization established to rescue and rehabilitate marine mammals and provide education on marine mammals and related research facilities. 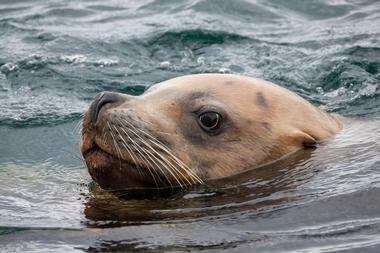 Their work includes whales, dolphins, seals, Pacific harbor seals, northern elephant seals, sea lions, and fur seals. Animals they deal with are pups abandoned or separated from their mothers or those found injured or ill. Animals brought to the center receive veterinary care, treatment, rehabilitation and, if possible, release into their natural environment. Located north of San Francisco, Muir Woods National Monument is part of California’s Golden Gate National Recreation Area. 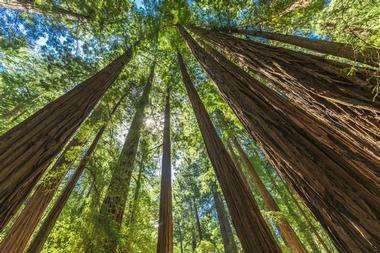 What makes Muir Woods so well known are its old-growth magnificent, towering redwood trees. As if meandering through fairytale tunnels, trails run between the trees along Redwood Creek, from Cathedral Grove to Bohemian Grove. For the best views of the treetops, Mount Tamalpais, and the Pacific Ocean, take the Dipsea and Ben Johnson trails, which climb up a steep hillside. The woods, which have been used throughout history starting with the Coast Miwok people, have been declared a National Monument to ensure their protection. Completed in 1897, Battery Spencer is a concrete gun battery located on Fort Baker at Lime Point with fantastic views of the Golden Gate Bridge and entire San Francisco. 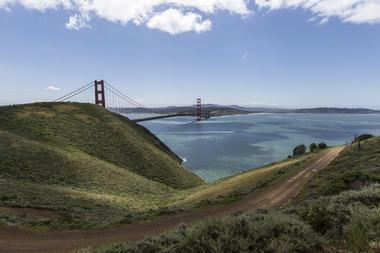 It is located high up on the top of the Marin Headlands, about eye-level with the Golden Gate Bridge’s north tower. 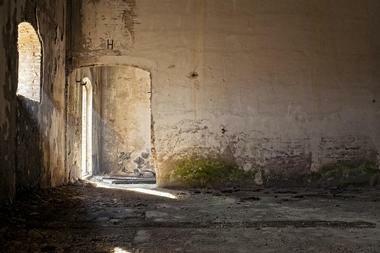 When it was constructed, Battery Spencer was a very important site guarding the Golden Gate. Originally, it had three M1888 12-inch rifles mounted on M1892 barbette mounts. One gun was removed in 1917 and the other two in 1943, when the battery was deactivated. Today, the battery is a popular tourist spot, both for its historic role as well as the great views. Located in Sausalito, on national park land at the foot of the soaring Golden Gate Bridge, the Bay Area Discovery Museum fires up the imagination with seven exhibition rooms and six or more drop-in monthly programs for kids aged 6 months to 10 years. The children learn about such concepts as gravity, laws of motion, friction, and much more. All activities are hands-on and interactive and let the children use all kinds of tools and technology at the Fab Lab Open Studio programs, designed according to their age. There are also the Art Studios, Discovery Hall, Bay Hall, Lookout Cove, and Tot Spot. Through hands-on activities, children explore and develop creative thinking and problem-solving abilities. The Bay Area Discovery Museum, which has both indoor and outdoor spaces, is the only children's museum located inside a national park. The U.S. Army Corps of Engineers Bay Model is a working scale hydraulic model of the San Francisco Bay and the Sacramento-San Joaquin Delta located in Sausalito, California. The bay model is located in the visitor center in Sausalito, an education center managed by the U.S. Army Corps of Engineers, and is fully accessible to the public. The purpose of the model is to provide scientists, visitors, and educators interested in San Francisco Bay with a fascinating opportunity to see the entire bay-delta system in one place. Group tours are welcome and can be guided depending on their technical level. The bay model is fully operational, but it is not used any more for scientific research but rather for general public and educational courses about Bay hydrology. Since 1995, a life-sized beautiful bronze sculpture of a horse located in the pasture in Tiburon, near San Francisco, has attracted the attention of visitors curious about the horse’s story. This story is a part of local history and lore, a story of the love for a horse that lived in that same pasture for 28 years. In his youth, Blackie was a cavalry horse stabled at the Presidio. Every spring the horse would patrol Yosemite National Park with the cavalry, returning to the pasture in the Presidio during the winter. After his retirement he became a rodeo horse for a while and then finally retired completely to the pasture, which by then had become known as Blackie’s Pasture. He was visited daily by his owner and local kids until he died. In 1995, thanks to a gift by the family of Tiburon’s first mayor Gordon Strawbridge, the sculpture, created by the renowned Bay Area artist Albert Guibara, was placed in Blackie’s favorite pasture. Owned by the Pacific Mail Steamship Company, the PS China, a side-wheel steamer also rigged for sail, spent its life carrying the mail between San Francisco and Far East destinations such as Hong Kong and Yokohama. When it was decommissioned after only 30 round trips, the ship was sold for scrap metal but its most beautiful part, the luxury Victorian saloon, was removed and taken to shore to be set on pilings on the Belvedere waterfront and used as a weekend home. This unique structure was named the China Cabin by the locals and is recognized as a National Maritime Monument. 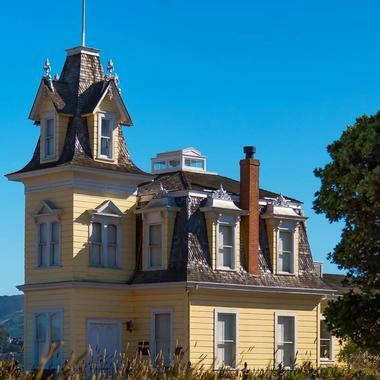 The Belvedere-Tiburon Landmark Society restored it and returned it to its original splendor with intricate walnut woodwork, floral etched-glass windows, brass chandeliers, painted wood panels with real gold leaf, and original period furniture. Today, besides being a tourist attraction, the China Cabin is used for weddings, reunions, meetings, and private parties and celebrations. Mathew Turner Educational Tall Ship is an educational project run by Call of the Sea, a Sausalito educational nonprofit organization that serves Bay Area youth by cultivating environmental stewardship and celebrating maritime tradition and history. For the last ten years, they have been running shipboard programs aboard their schooner Seaward, having served almost 15,000 local high school students. Today, with the tall ship Matthew Turner, they are building a floating foundation for experiential youth education by building a copy of the historical wooden tall ship in a totally innovative way and with the help of local volunteers and donors. Once completed, the ship will take hundreds of local young people on a trip of discovery and learning. The Matthew Turner will be a brigantine with two masts and will be 100 feet long, and will be the first large wooden ship built in the San Francisco Bay Area in almost 100 years. A part of Golden Gate National Recreation Area, Fort Cronkhite is a former army post and part of the coastal artillery that defended the San Francisco Bay Area in WWII. The soldiers stationed at Cronkhite managed radar sites, gun batteries, and other fort installations placed on the ridges above the fort. Fort Cronkhite is today a part of the Marin Headlands and the Golden Gate National Recreation Area and is managed by the National Park Service. It is listed on the National Register of Historic Places. 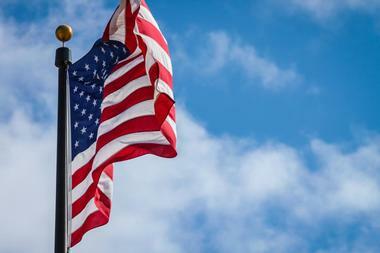 There are walking tours of the army buildings, but some of the buildings are now used by non-profit groups for their offices and are not accessible to the general public. Visitors can enjoy hiking the trails around the fort, and Rodeo Beach, known for great surfing, is also nearby. San Francisco is no stranger to eccentric colorful communities and the Gates Co-op Houseboat Community fits right in. 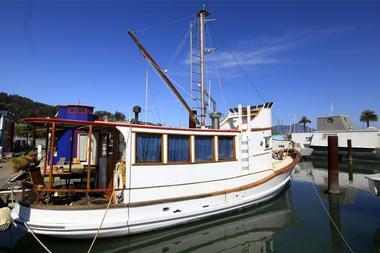 It is located in Sausalito’s Richardson Bay and consists of a bunch of houseboats that range from a pirate ship to a home built on a WWII tug. The community is surrounded by a very different kind of “floating homes,” luxury floating palaces protected by locked gates. Gates Coop is the last remnant of a once thriving community of hippies, artists, musicians, and other “free-thinking” bohemians who lived in colorful floating houses of all kinds. The late 60s brought an end to the famous week-long parties the community was famous for, and after what was known as the “water wars,” many house boats were cut off from the dock for the violation of various codes. The 38 floating houses that still exist are all that is left and the age of both residents and the boats, the law, and changing times mean that the community’s days are numbered. The Golden Gate Bridge is one of the most famous bridges in the world and the main icon of San Francisco. This suspension bridge, which spans the Golden Gate, connects San Francisco and Marin County. It is 1 mile wide and as tall as a 65-story building. Everything about it makes it one of the Wonders of the Modern World, from its massive 746-foot tall towers and vast main cables to its signature orange color and art deco style. The bridge was opened in 1937 and at the time it was the tallest and the longest suspension bridge in the world. Millions of visitors cross the bridge every year, and taking a photo of the bridge is one of the highlights of any visit to San Francisco. The Golden Gate National Recreation Area is an enormous a park that consists of 19 different ecosystems, supporting more than 2,000 species of plants and animals. Developed to protect more than 82,027 acres of historically and ecologically important landscapes, the park is a collection of non-connected areas that range from San Mateo County in the south to Marin County in the north. 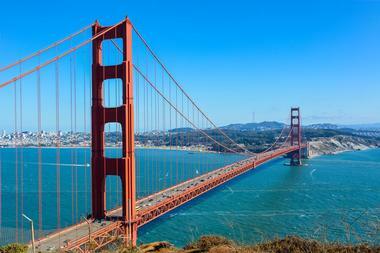 It includes many San Francisco attractions, such as Alcatraz, the Presidio, and Muir Woods. The park is considered the largest urban park in the world and attracts millions of visitors, who come to hike, enjoy spectacular views, have a picnic, or visit one of many historic landmarks. 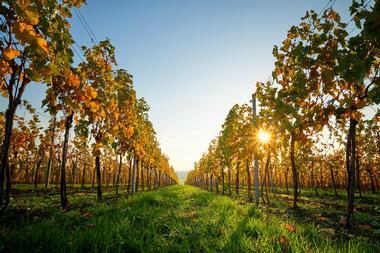 When you are visiting a famous wine producing area, it makes sense to combine a tour of the area with some gourmet meals followed by great wine tasting. Gourmet Food and Wine Tours offers “1 town, 3 hours, and 4 farm-to-table courses,” combined with stories told by a knowledgeable local guide. One of their most popular tours is the 3.5-hour Sausalito Food Tour on Bridgeway, overlooking the bay and offering endless views of the ocean. The tour includes a ferry or water taxi from San Francisco, a farm-to-table tasting of Italian or Napa varietals wines, and four-course gourmet meals in top Bay Area restaurants with fantastic views of Angel Island, Tiburon, and Alcatraz. Harbor Dive Center caters to those who are not satisfied with exploring San Francisco on merely the surface. The surrounding seas are full of spectacular dive sites rich in marine life that can only be seen with scuba equipment. The center is a PADI five-star scuba center and offers all levels of scuba certification as well as introductory Discover Scuba trips and advanced and specialized courses. 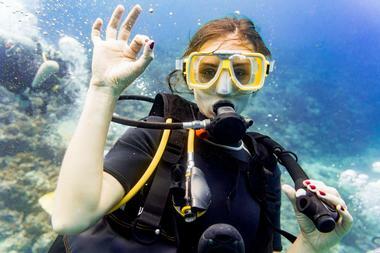 They sell a full range of scuba, snorkeling, and swimming equipment. Besides organizing diving trips in the waters around San Francisco, the center also organizes annual trips to exotic diving locales such as Fiji and Iceland or on Aggressor liveaboards. Old St. Hilary's Landmark was once a mission church, deconsecrated in 1959, and is located on the hillside above Tiburon. It is now a historic landmark and one of the last Carpenter Gothic churches still standing in place. 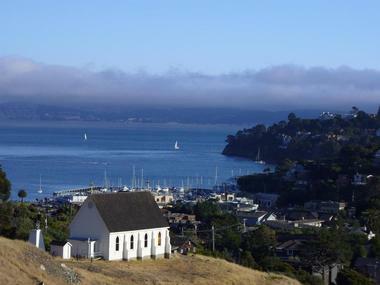 Old St. Hilary’s is today owned and managed by the Belvedere-Tiburon Landmarks Society. It was used for a while as a school, then a town hall, and is now a popular venue for weddings, concerts, and other public events. The beautiful former church made of redwood still has many of its original features such as amber glass windows, a Douglas fir ceiling, and the stained-glass window above the door depicting St. Hilary. The Old Saint Hilary's Open Space Preserve, the area around the church, is declared a Marin County protected area and is home to some rare plants, such as the endemic black jewel flower, Marin dwarf flax, Tiburon paintbrush, and Tiburon buckwheat. 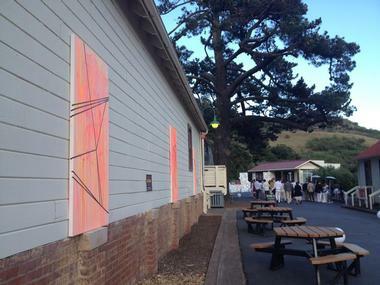 Nothing celebrates Tiburon’s rich maritime and railroad history like the Railroad & Ferry Depot Museum. 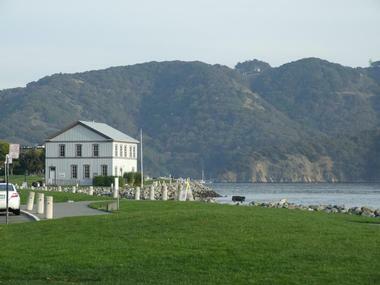 Located in Shoreline Park on Tiburon’s charming waterfront, the museum occupies the former San Francisco and North Pacific Railroad Station House/Depot, a beautiful 1886 Greek revival building. The building was originally designed to be mobile and rested in a few different places, including the wharf, before settling in its present location. On the ground floor of the museum there is a detailed model of Tiburon at the beginning of the 20th century, when it was a true railroad town. 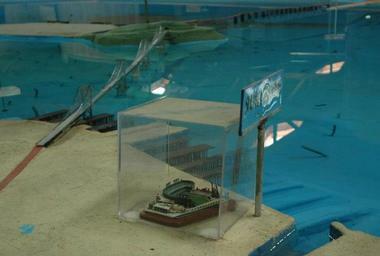 The model includes buildings, landscapes, boats, and trains as well as three ferryboats. The boats were part of a big fleet that ran between Point Tiburon and San Francisco. Located on Sausalito’s lovely waterfront on the Broadway Promenade, Real Napa is a charming, rustic wine tasting bar that offers the atmosphere and flavors of Napa Valley and its venerable vineyards. 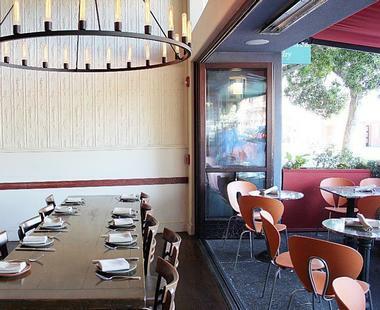 Simple, rustic, but understatedly chic, Real Napa is decorated with hand-made iron chandeliers, plaster walls, and raw wood and is dominated by a beautiful copper bar. The bar showcases wines that come from the Fotsch family vineyard and winery from the hills of Napa, such as their cabernet sauvignon, merlot, or Riesling. 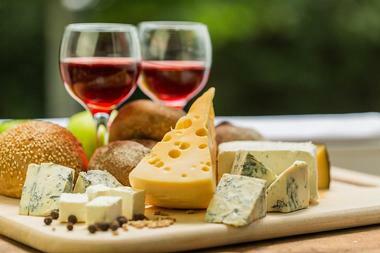 Their attached extensive boutique offers a range of wine-related gifts and souvenirs, such as glasses and cork cages. Richardson Bay is a shallow part of San Francisco Bay and hosts the 911-acre Richardson Bay Sanctuary, owned and managed by the National Audubon Society. The bay is one of the most undisturbed estuaries on the entire Pacific Coast, in spite of being so close to a large urban environment. It supports large eelgrass areas and undisturbed intertidal habitats. 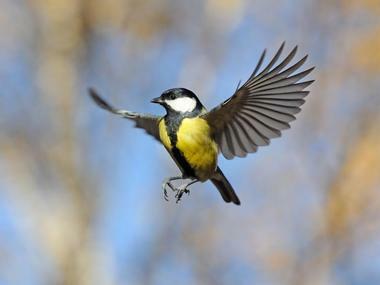 The bay is a resting and feeding area for a range of pelagic and estuarine birds. The adjacent littoral zones and marshes support diverse animal and plant life, and Richardson Bay has been designated as an Important Bird Area. Its waters and fragile ecosystem are protected with a "no discharge" rule, which also benefits the diverse mollusk populations and marine mammals like the harbor seal. Boating through Richardson Bay is limited to kayaking and small sailboats. The area on the perimeter of the bay has extensive biking and hiking paths. 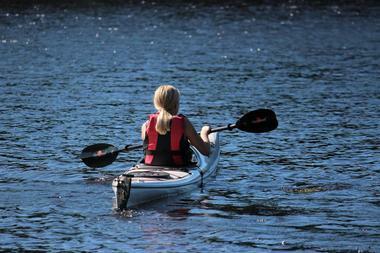 When Bob Licht founded Sea Trek Ocean Kayak in 1982, it was California’s first commercial sea kayaking business. With the help of friendly, professional guides, the company today offers not only kayaking trips but also classes and rentals for ocean kayaks and the popular stand-up paddleboards. Clients of any skill level and experience are welcome. You can go on your own or, if you decide to join one of the trips, the guides will take you in well-maintained sea kayaks to explore the protected, calm waters of Richardson Bay, on a week-long trip through the Sea of Cortez, or on a short, unforgettable paddling and sightseeing tour under the Golden Gate Bridge. Copita Tequileria y Comida is a seasonal Mexican restaurant and popular tequila bar located in downtown Sausalito. Copita offers lunch and dinner in the colorful tiled dining room, large bar, and outdoor sidewalk patio separated from the indoor dining space by a large glass sliding door. The food is made from scratch daily from seasonal, local ingredients using traditional cooking methods. An assortment of delicious tacos comes with such original ingredients as seared mahi mahi with tomatillo salsa and pineapple pico de gallo, or tomato chicken tinga with avocado and crema. Among popular large plates are chicken mole and carnitas enchiladas. The well-stocked bar features over 100 tequilas and mezcals. 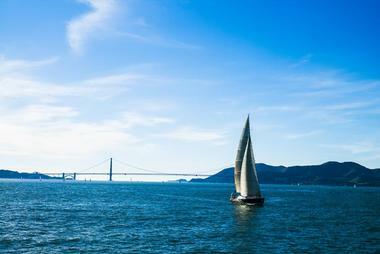 Sailing the waters around San Francisco is a unique way to see this fascinating city, widely considered one of the most beautiful in the world. Captain Kirk’s San Francisco Sailing offers a range of tours on one of their three yachts: Flying Tiger, Bay Wolf, and Osprey. The yachts are run by experienced captains and crew with thousands of miles of experience. They will pick you up from Sausalito, Oakland, or San Francisco and take you on a cruise you will never forget. You will see Alcatraz Island, the Golden Gate Bridge, the San Francisco waterfront, and Angel Island from a truly unique perspective and in full comfort. A few minutes outside of San Francisco’s fog and brisk pace of life is a tranquil world of magnificent natural beauty. Chain Chain Chain Marin Country Bike Tour and their local guides will take you on one of their great bikes through beautiful Marin County. Their Sausalito to Tiburon Tour is a 20-mile trip along the famous Paradise Loop. The view of the bay along the way is breathtaking. 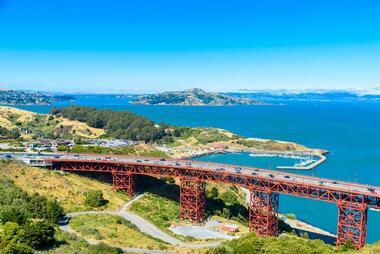 You will mostly be riding along roadways and some bike paths, across rolling hills, passing Angel Island, and taking a glimpse of the spectacular homes of the rich and famous perched on the steep hillsides. 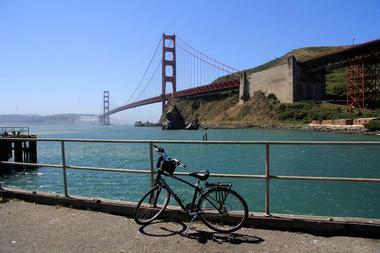 You will stop for lunch at Rustic Bakery in Tiburon and then peddle back to Sausalito. 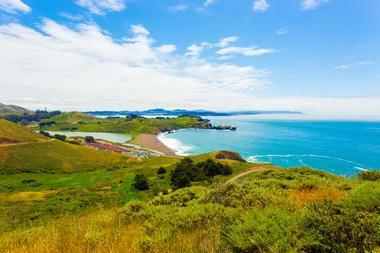 Eco Bike Adventures provides a unique way to explore the magnificent Marin Headlands. They will pick you up at Sausalito Harbor and take you to their 200-acre ranch in the rolling hills of the Lost Sierra on the foothills of Mount Beckwourth, about 30 miles from Lake Tahoe. Don’t the rustic setup fool you, they have high-tech electrical bikes for you to choose from that will take you up to 20 mph on an exciting adventure that will show you breathtaking views of the Marin coastline and the Golden Gate Bridge. 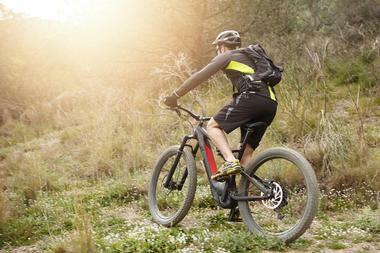 You will be led by the local guides, who will also show you the ins and outs of riding an electric bike. Actually, the only difference between a regular bike and an electric one is that you will be able to go up the hill effortlessly even if you are not very fit. Seeing San Francisco from the air is a breathtaking experience. Aboard a 6-passenger seaplane, you will start from Sausalito and fly over San Francisco Bay, the Golden Gate Bridge, Muir Woods, and Alcatraz, see downtown San Francisco from a birds’ eye view, and pass over Fisherman’s Wharf and lovely Angel Island. Their pilots are not only experienced and skilled but also knowledgeable and will point out all the main landmarks during the flight before landing you safely in Sausalito. Everyone is guaranteed a window seat! 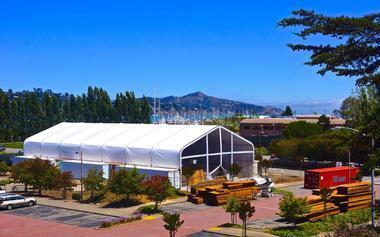 If you want to be picked up from the city, a shuttle will take you to Sausalito from Pier 39. A minimum of two passengers is necessary for the trip.